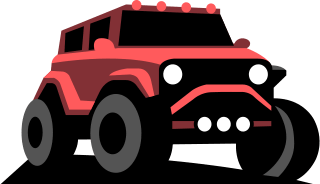 Each year, fewer and fewer full-size truck-based SUVs are sold in the US. Many are replaced by their car-based counterparts that offer more attractive blends of performance, utility, efficiency, and handling. However, there will always be a place for the truck-based ute. Crossovers simply can’t perform tasks like towing and people hauling that a larger SUV can. In an effort to garner many would be crossover buyers, the US market has become saturated with large SUVs that lean toward luxury. Status symbols for the suburban households. 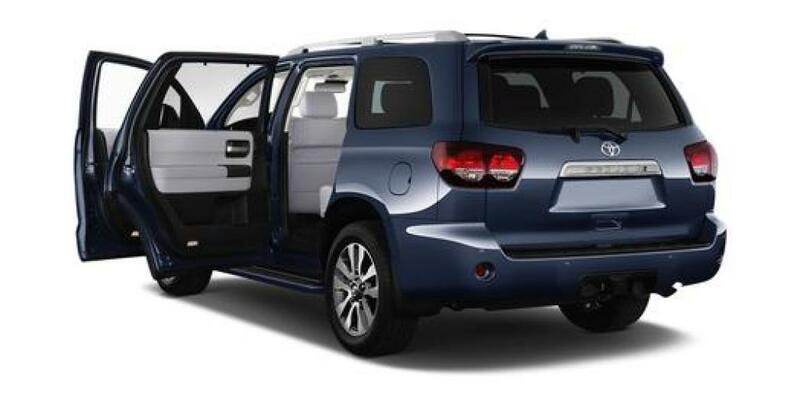 The Sequoia rejects that formula and, instead, offers a large SUV that prioritizes reliability and functionality over the latest technology and convenience features. 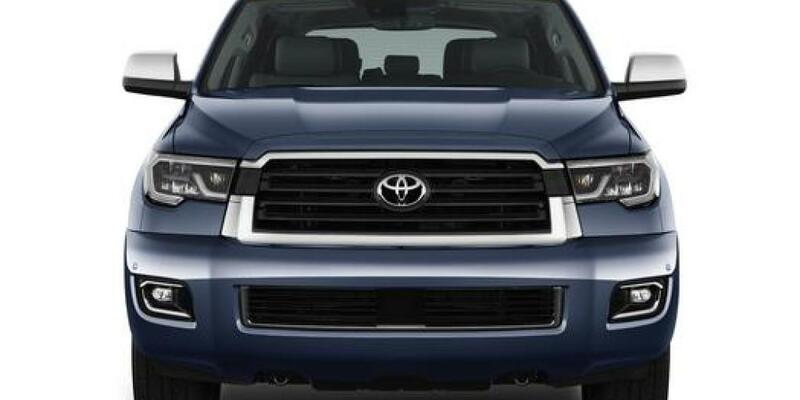 The Sequoia is the same SUV it has been for the last decade, a principally reliable and safe SUV with plenty of room for passengers and cargo that can tow over 7,000 lbs. 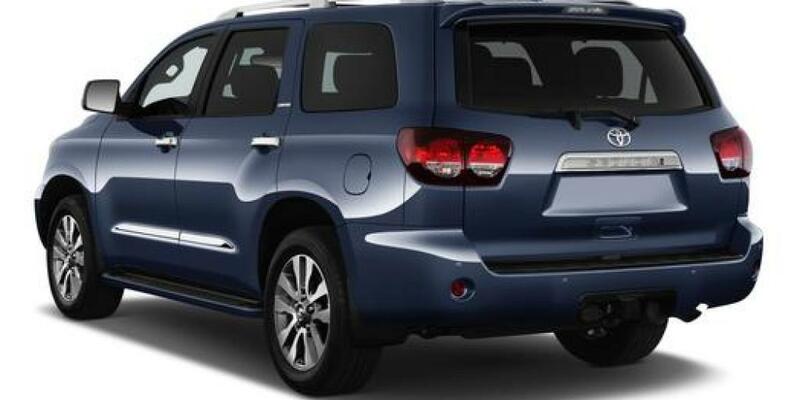 If you’re looking for a large SUV that can do it all for many years to come, the Toyota Sequoia should sit atop your short list. While many manufacturers are focused on offering increasingly luxurious, technologically packed large SUVs, Toyota focuses on its bread and butter: world-renowned quality, dependability, and reliability. Though the interior and exterior are lightly refreshed for 2018, not much has changed mechanically, it’s still powered by the same great V8 and six-speed transmission the second generation was introduced with a decade ago. That’s a good thing as multiple owners report major issue free ownership with well over 200,000 miles. As a result, this SUV is one of best buys on the used market. Demand for used Sequoias isn’t as high as 4Runners or Land Cruisers, so you can get a much better deal on a used one than the two Toyotas with record high resale value. If you want to buy new, the 2018 model furnishes Toyota Sense P safety suite standard. We’d recommend the SR5 trim with the $3,8190 dollar Premium Package that adds leather seats, premium audio, a power liftgate, and all the goodies you’d want in a large SUV without breaking the budget. In 2018, you’ll still find the same great engine and six-speed transmission that have been in use since the introduction of the second generation Sequoia. It’s a 5,663 cc engine that generates 381 horsepower at 5,600 rpm and 401 lb-ft of torque at 3,600 rpm. That’s enough power to motivate the nearly 3-ton truck to sixty in under seven seconds, more than adequate for the class. The high torque augments its ability to tow up to 7,400 lbs, a very large boat or trailer. A version of the engine that can run on E85 ethanol is available on 4WD models at no additional cost. 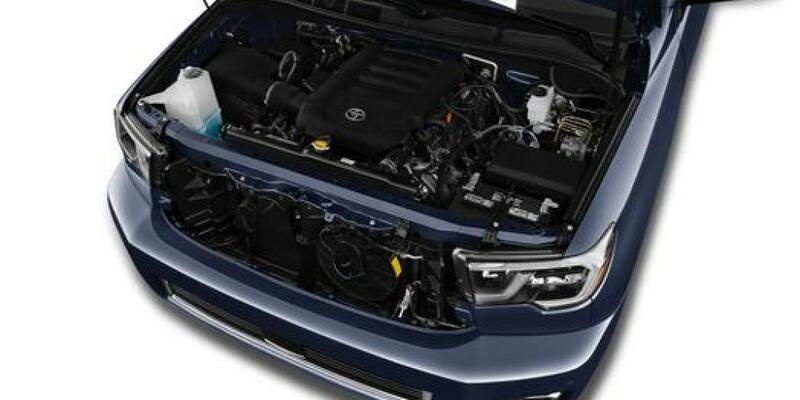 If you need more power Toyota Racing Development offers a supercharger kit for the Sequoia that brings total output to 504 horsepower and 550 lb-ft of torque. It’s available through your local Toyota dealer and won’t void your warranty. Handling is pretty ponderous as you might suspect from a full-size, truck-based SUV. Even the TRD model’s upgraded Bilstein shocks do little to improve matters. It will never be a corner carver. However, take this thing on the highway and it really starts to shine. The ride is supremely comfortable in the Sequoia’s oversized thrones with minimal road and wind noise making its way into the cabin. The big V8 is happy to cruise along the open road at a sweet spot of seventy miles per hour. Fuel Economy isn’t impressive at an EPA rated 13 miles per gallon city and 17 miles per gallon highway. It lags a few miles per gallon behind its competitors with 8 speed, 9 speed, and even 10 speed transmissions. Brakes lag behind competitors too but not by much. 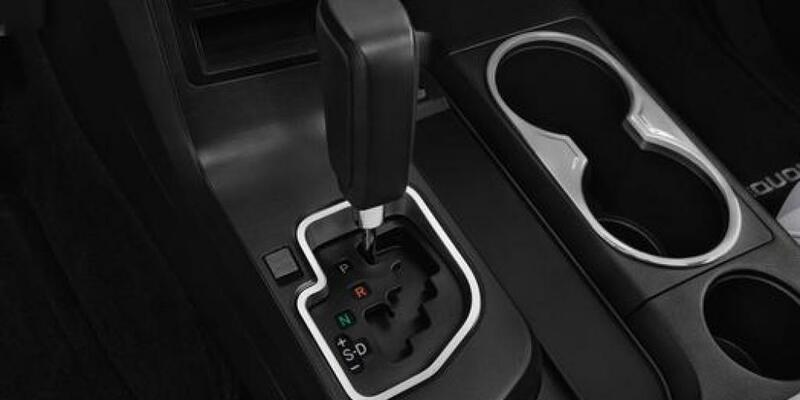 4 Wheel Drive models are equipped with an electronically controlled, locking differential that helps the big SUV tackle off-road trails and poor weather conditions with confidence-inspiring grip. If you’re less concerned with efficiency than reliability and dependability, you won’t find a higher performing large SUV for the money. The Sequoia interior won’t be wowing occupants anytime soon, even in the top Platinum trim, but it does offer everything most need in a large SUV. 2018 brings minor changes to the interior like a new steering wheel, redesigned center console, new instrument cluster with a different driver information display. That’s good news because the gauges in earlier models were criticized for being difficult to see during daylight hours. The Entune infotainment system isn’t our favorite but it gets the job done. It allows voice commands, Bluetooth calling and streaming, and app-based navigation integration. The premium system adds integrated navigation and Entune App Suite that allows you to use many popular apps like Open Table, Pandora, and Yelp without the need to tether your phone. Neither system is compatible with Apple CarPlay or Android Auto at this time but Siri Eyes Free is included in both. There’s also a standard rearview backup camera with a projected path that eases the hassle of parking this behemoth. Road trip worthy upgrades include an excellent 14-speaker JBL audio system and a Blu Ray rear seat entertainment system with a single 9-inch display and two sets of wireless headphones. 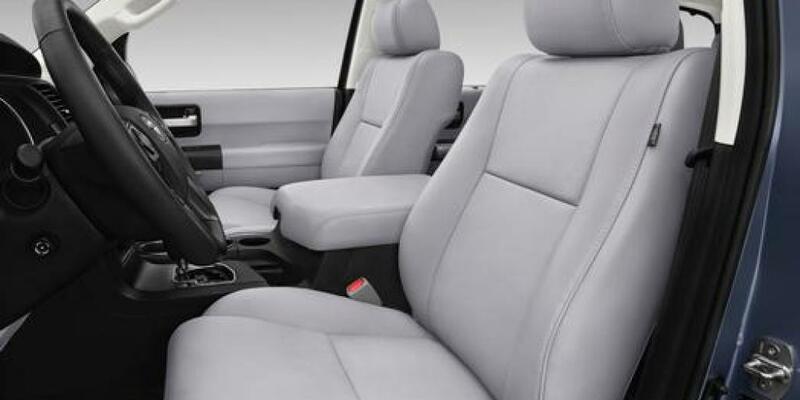 Whether you choose the easy-clean fabric or either leather option, the seats are great. Shorter drivers may have difficulty reaching the pedals from the driver seat, so take note if someone in your household who will drive the vehicle is vertically challenged. Otherwise, the seating position is high and commanding, with a highly adjustable tilt and telescoping steering wheel. Second-row leg and headroom are high for the class, there’s plenty of room for three adults to stretch out and the seats recline and slide for optimal relief. Second-row captain’s chairs are even better but limit seating capacity to seven. 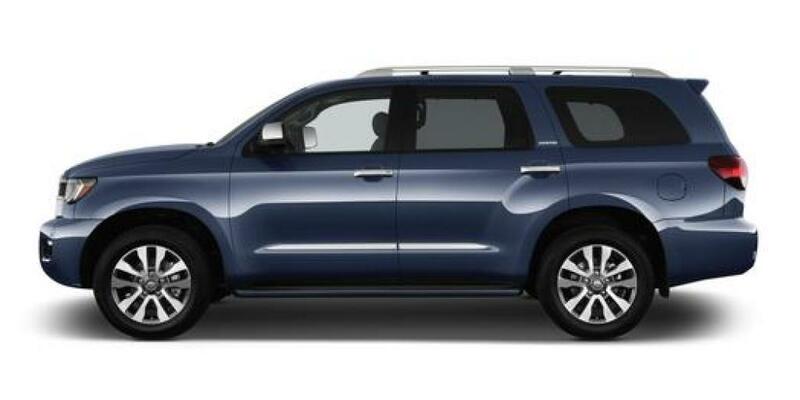 Perhaps the Sequoia’s greatest strength is an adult-friendly third row. 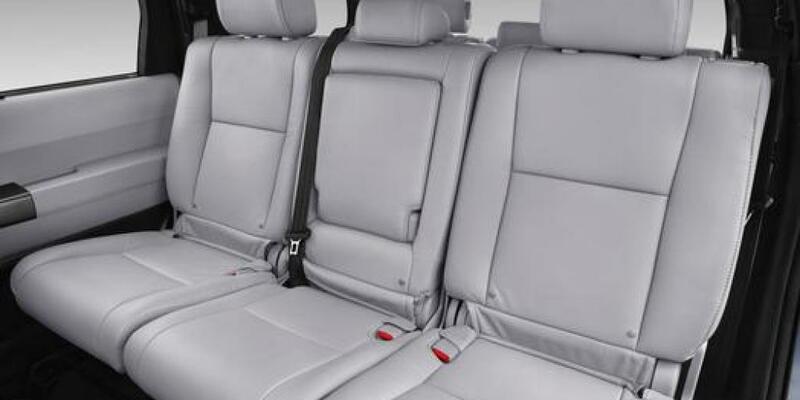 This SUV won’t just accommodate third-row passengers in a pinch, it provides legitimate comfort with seatbacks that recline. The cabin is positively cavernous, an outstanding 120.1 cubic feet of cargo capacity is available with the second and third row folded, 66.6 with the third row folded, and 18.9 with all rows in use. That places the Sequoia in the top three SUVs in terms of utility and should make your short list if you need a dependable SUV that can haul. It’s probably the best choice for those who regularly drive several adults besides the more expensive yet more luxurious Chevy Suburban. The Sequoia’s sheet metal hasn’t changed much in the last decade, which means the design is starting to appear dated. 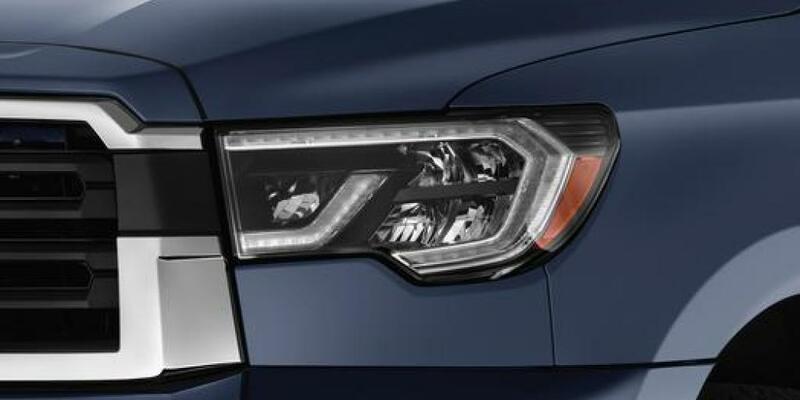 However, the 2018 refresh includes LED running lights, LED headlamps, and LED taillamps that enhance the appeal somewhat. 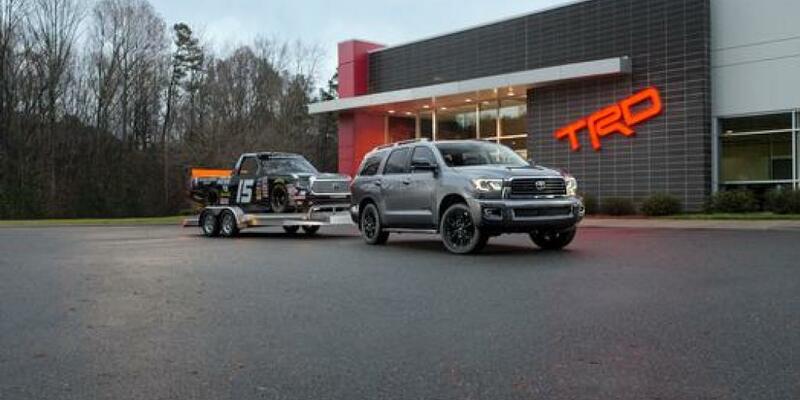 Also new for 2018 is a TRD trim that looks tougher than the other trims with its 20-inch black wheels, TRD grille and bumper, black mirror caps, and smoked taillights but doesn’t change much in the way of capability. 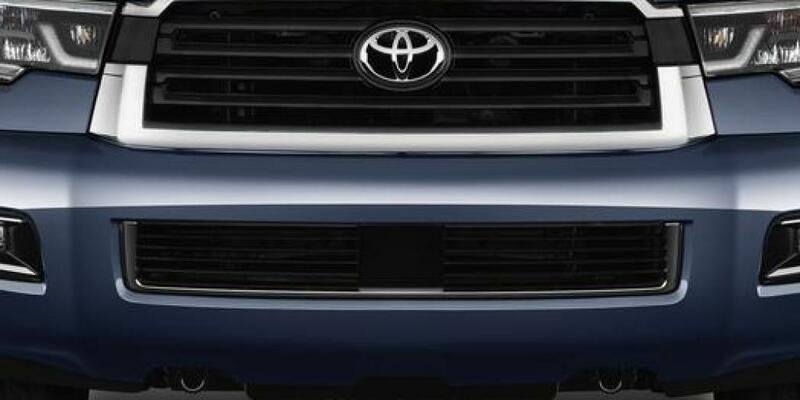 The front fascia resembles the Tundra quite a bit, with a large Toyota badged grille between modern LED headlights, above grilled lower intake with flanking fog lamps. The sides wear bulging fenders and large windows that provide excellent visibility for the driver and rear passengers alike. 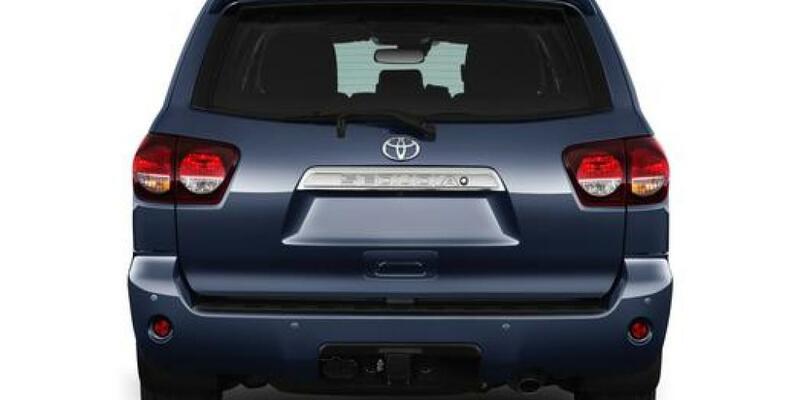 At the rear, you’ll find a generic tailgate with a roof-mounted spoiler and integrated LED tail lamps. All Sequoias include roof racks, usually a costly add-on many competitors. The lowest SR5 trim rides on 18-inch alloy wheels, while higher trims sit on one of three different 20-inch alloy wheel designs. All receive mud and snow rated tires for your adventuring needs. The Sequoia’s design reflects its values, it’s pragmatic, utilitarian, and subtle. It’s not as flashy as many other $50,000 dollar SUVs but that’s okay. 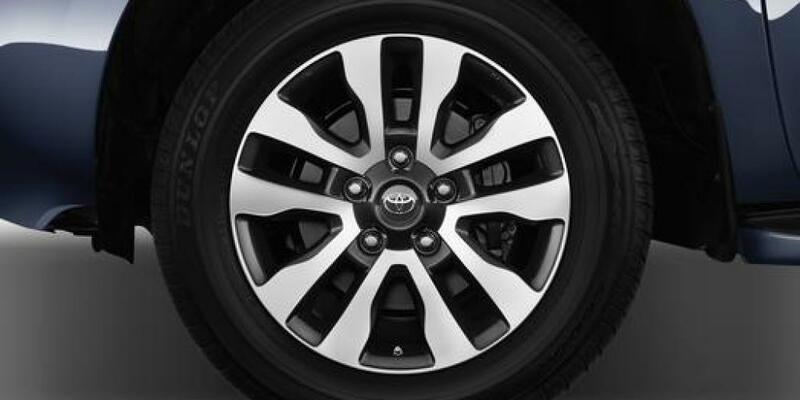 Most buyers purchase Toyotas for their excellent safety and reliability traits, not a flashy exterior. 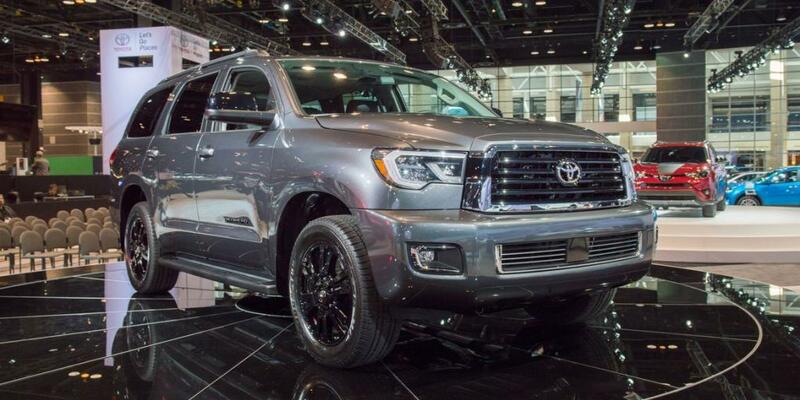 The Insurance Institute for Highway Safety has not performed crash tests on the Toyota Sequoia but the have crash tested the Tundra, on which it’s based. The offer mostly “GOOD” crashworthiness ratings, with an “ACCEPTABLE” roof strength rating and a “MARGINAL” driver’s side small overlap rating. The latter is a result of large intrusions to the lower leg area of the safety cage, increasing the likelihood that a lower leg injury would occur in a crash of that severity. The head and torso were well protected, with minimal probability of injury. The National Highway Traffic Safety Administration has not crash tested the Sequoia since 2008 but claims the performance wouldn’t change much despite not applying the scores to newer models. They only performed the rollover and front crash tests. The front driver protection was rated 5-stars, while passenger and rollover categories were awarded 4-stars. 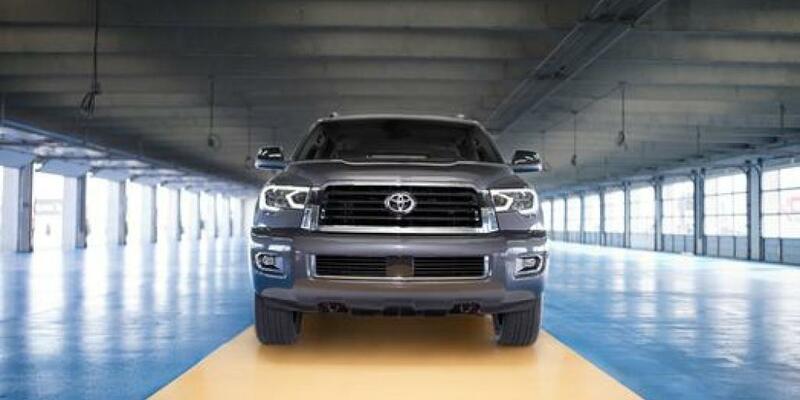 Toyota Safety Sense P, a standard safety suite of advanced driver assistance features, is rated “SUPERIOR” by the IIHS in other Toyota vehicles, we assume this would hold for the Sequoia as well. Though we don’t have recent crash test data for the Sequoia, the comprehensive list of safety features combined with the large SUV’s heft suggests it should be one of the safer large SUVs on the market and is one of the few to offer standard advanced safety technology. The Sequoia has received only minor changes since 2008, so there is plenty of information available to make an informed judgment about this SUV’s reliability. The 2018 model receives the highest possible, 5 out of 5, predicted reliability rating from CR and an impressive 4 out of 5 JD Power predicted reliability rating. Toyota, in general, has a solid reputation for reliability and Sequoia is no exception, with its durable body-on-frame Tundra-based design. We’ve even found a handful of owners who have claimed to put over a million miles on their Sequoias, the highest we’ve seen with any SUV. There are probably several more known issues with this SUV than many on the market. However, most of the issues arise at over 150,000 miles, when most vehicles become parts donors. The most common issue with the current and previous generation Sequoia is oxygen sensors that may fail, leading to a Check Engine Light. This can be an expensive issue to repair, at $1,000-$1,300 dollars. Typically, the issue manifests at close to 200,000 miles. Another known issue is a ticking noise coming from the engine as a result of a cracked exhaust manifold. Replacement of the exhaust manifold costs roughly $1,500 dollars and may be necessary for vehicles over 100,000 miles. Both these issues tend to affect earlier year models, time will tell if it happens in newer Sequoias. 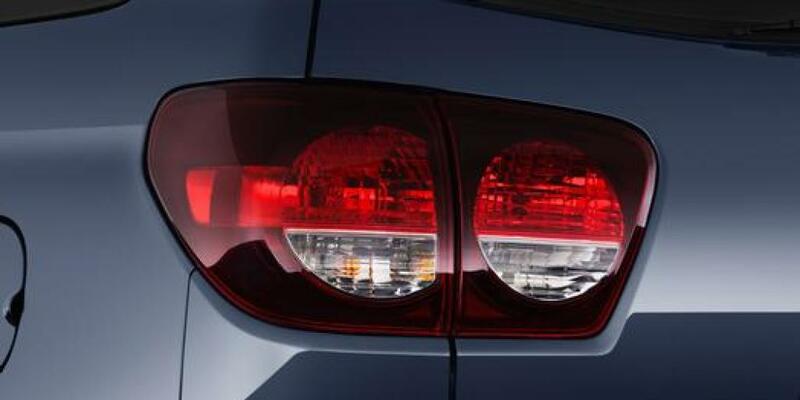 If you’re buying used models from 2008-2011, be sure the many NHTSA recalls for these years have been resolved. Despite the recalls, these years have very few complaints filed with the NHTSA. There have been less than sixty total complaints filed for the Sequoia in the last ten years with the NHTSA. That’s one of the lowest figures we’ve seen. Many owners complain the instrument panel is difficult to see during daylight and isn’t sufficiently backlit, causing them to have difficulty determining their speed. Another common complaint is a steering vibration at highway speeds. The rest appear to be “one-off” complaints that likely don’t extend to all Sequoia models. Considering there are over 100,000 current generation Sequoias on the road, we think this is an exceedingly reliable SUV. It’s one of the few we’d recommend buying used or new for a hassle-free ownership experience. 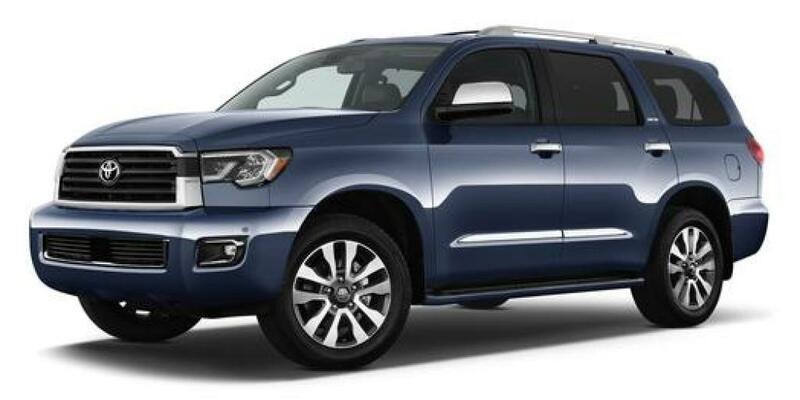 The only full-size SUV that costs less than the Sequoia is the Nissan Armada. It’s a great SUV with an even more powerful V8 and a smaller size that helps it reach zero to sixty in just 5.9 seconds, quicker than the Sequoia. 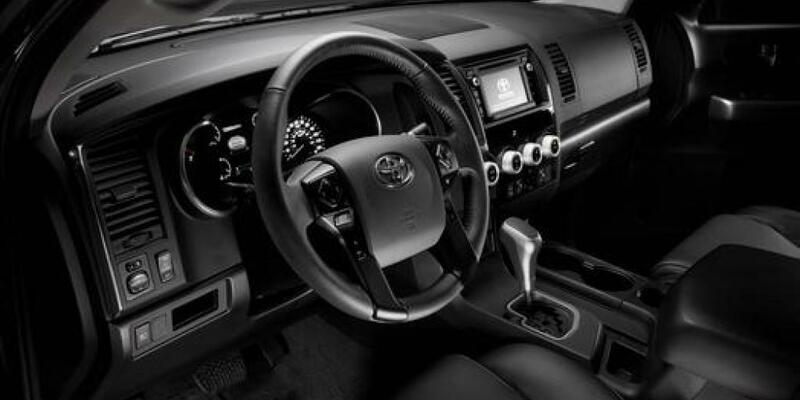 It boasts a more upscale interior than the Toyota, with real wood trim and soft-touch panels galore. It features a standard 13-speaker Bose sound system with integrated subwoofer. It’s an SUV that offers luxurious touches for far less than the competition. However, it simply can’t match the durability and reliability of the Sequoia. 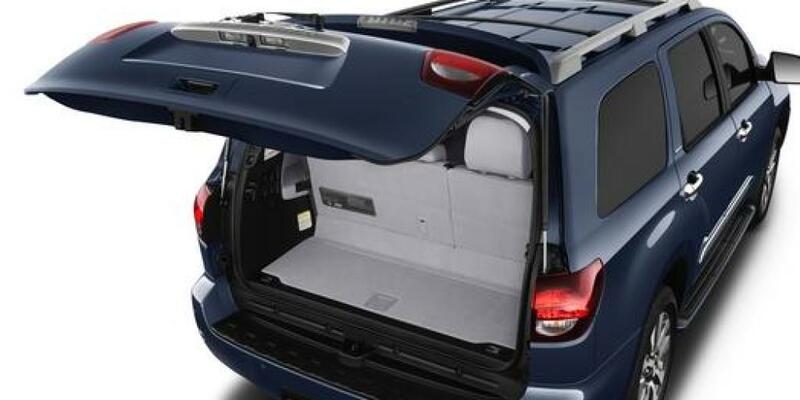 Other shortcomings are a barely useable third row that won’t seat adults comfortably and over 20 less cubic feet of cargo capacity. It gets a few more miles per gallon and can tow up to 8,5000 lbs. The suspension provides more adept handling, though neither excels in this category. Despite lower reliability ratings from the traditional authorities, we thought this SUV is still pretty reliable. If you’re on a strict budget, the Armada offers superior features and refinement for your dollar. However, if you regularly haul several adult passengers and want an SUV that will go the distance, your money is better spent on the Sequoia. 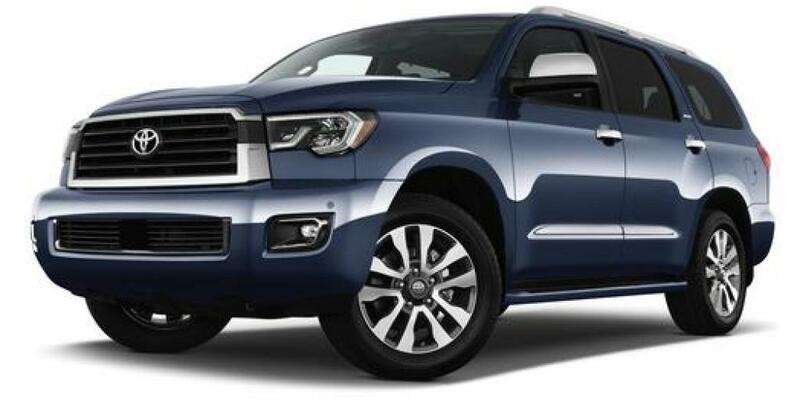 The Sequoia SR5 starts at $48,300 with a 5.7 Liter i-FORCE V8 DOHC with Dual Independent Variable Valve Timing with Intelligence that produces 381 horsepower at 5,600 rpm and 401 lb-ft of torque. 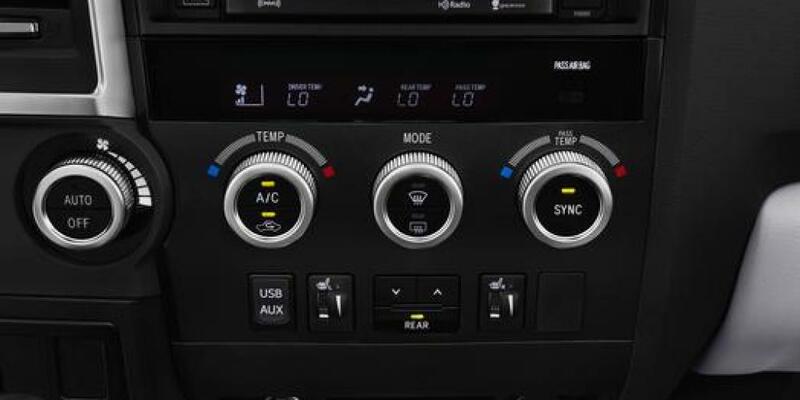 It’s coupled to a 6-speed electronically controlled transmission with intelligence with sequential shift mode, uphill and downhill logic, and tow/haul mode. The Sequoia uses reinforced body-on-frame construction with front high-mounted coil-spring independent double-wishbone front suspension with low-pressure gas-filled shock absorbers and hollow stabilizer bar and rear coil-spring independent double-wishbone suspension with low-pressure gas-filled shock absorbers and hollow stabilizer bar. To control the SUV, the Sequoia utilizes engine speed-sensing Variable Flow Control power-assisted rack-and-pinion steering with a 38.1 ft curb to curb turning circle. Stopping is provided by a power-assisted 4-wheel Anti-lock Brake System with Electronic Brake-force Distribution and Brake Assist, surrounded by 18 inch 5-spoke alloy wheels with P275/65R18 114T Mud-and-Snow-rated tires. On the outside, LED low and high beam headlights with an auto on/off feature are standard, along with automatic LED daytime running lights, integrated LED fog lights with dark-silver surround, a chrome grille surround with Gloss Black inserts and accents, a lower bumper opening with Dark Silver surround, color-keyed heated power outside mirrors, color-keyed door handles, power tilting and sliding moonroof with sliding sunshade, washer-linked variable intermittent windshield wipers and intermittent rear wiper, one-touch 3-blink turn signal indicators, windshield wiper de-icer, rear privacy glass, darkened rear tail light bezel, chrome raised Sequoia logo in color-keyed surround on liftgate, color-keyed rear spoiler with LED center high-mount stop light, Silver roof racks, and Black running boards. 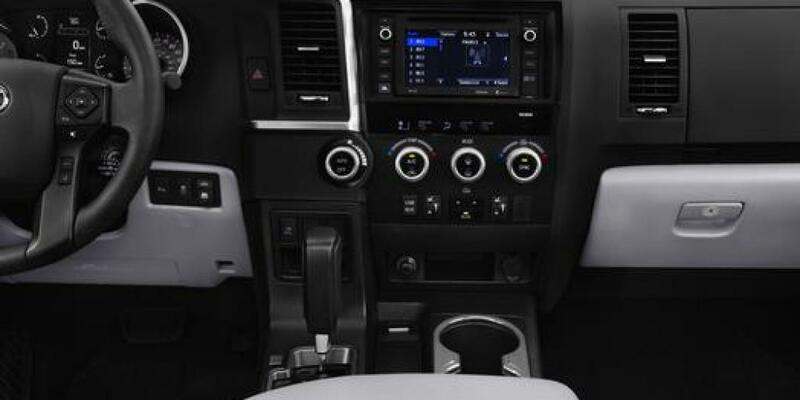 Standard interior features include automatic three-zone front and rear climate control with air filter, 4.2 inch driver information display, easy-clean fabric-trimmed front seats, 8-way power adjustable driver’s seat, 4-way power adjustable passenger seat, easy-clean fabric-trimmed 40/20/40 split sliding and reclining second row, easy-clean fabric-trimmed 60/40 split reclining and fold-flat third row, leather-trimmed tilt and telescopic steering wheel with multi-function controls, multi-function remote keyless entry system with remote illuminated entry, power windows, power doors, overhead storage console with lights, dual extendable sun visors with vanity mirrors, and sixteen total cupholders. 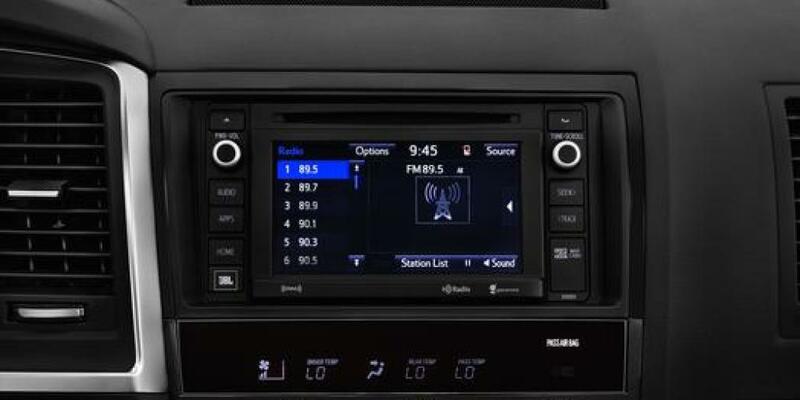 Infotainment is supplied by an Entune Audio Plus system with Connected Navigation Scout GPS Link App and 6.1 inch high-resolution touch-screen display, auxiliary audio jack, USB 2.0 port with iPod connectivity and control, advanced voice recognition, hands-free phone capability, phone book and music streaming via Bluetooth wireless technology, Siri Eyes Free, SiriusXM Satellite Radio, HD Radio, HD Radio Traffic, HD Radio Weather, and integrated backup camera display with projected path. 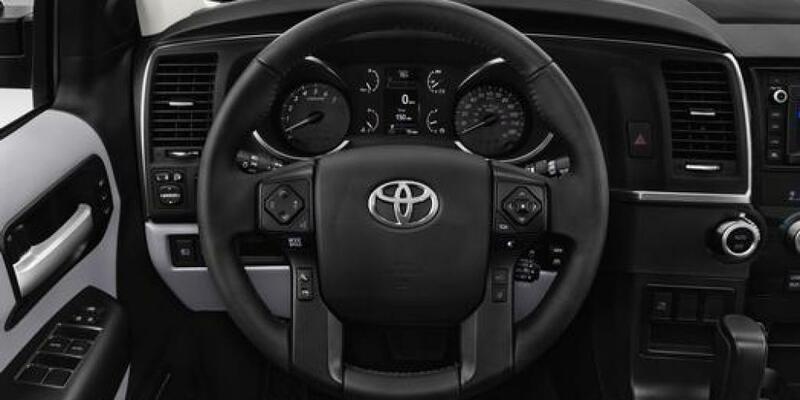 The SR5 comes equipped with Toyota Safety Sense P: Pre-Collision System with Pedestrian Detection, Lane Departure Alert with Sway Warning System, Automatic High Beams, and Dynamic Radar Cruise Control. 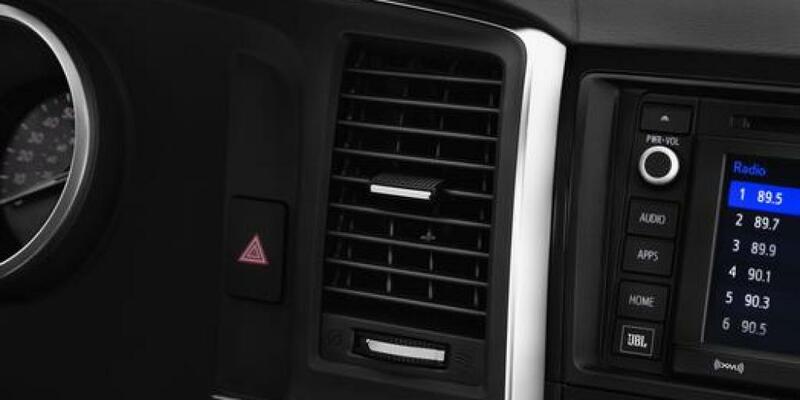 The standard Star Safety System furnishes Vehicle Stability Control, Traction Control, and Smart Stop Technology that increases the vehicle’s stopping power at speeds above 5 miles per hour. Other safety features include driver and front passenger advanced airbag system, driver and front passenger seat-mounted side airbags, driver and front passenger knee airbags, all-row side curtain airbags (with roll-sensing in 4x4 models), front energy-absorbing crumple zone, side-impact door beams, energy-dissipating interior trim, Blind Spot Monitor, Rear Cross-Traffic Alert, front and rear parking assist sonar, Trailer-Sway Control, and an anti-theft system with engine immobilizer. The 4WD SR5 model starts at $51,525 and adds a 4 Wheel Drive System with an electronic locking limited slip differential and skid plates to protect the engine, transmission, and transfer case. The lone Premium Package includes 8 passenger leather-trimmed seats, a heated 10-way power adjustable driver’s seat and 4-way power adjustable front passenger seat, power reclining and fold-flat third-row seating, power liftgate with jam protection, Entune Premium Audio with Integrated Navigation and App Suite, and an auto-dimming rearview mirror with HomeLink universal transceiver. 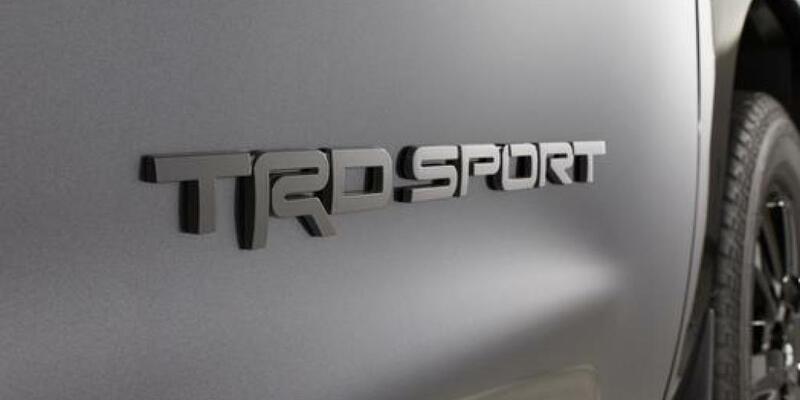 The TRD Sport begins at $51,015 for RWD and $54,240 for 4WD and furnishes integrated LED fog lights with chrome surround, chrome grille surround with gloss black insert and accent, lower bumper opening with chrome surround, Gloss Black heated power outside mirrors, Satin Black TRD Sport front door logos, 20 inch TRD Sport Black alloy wheels with P275/55R20 111H tires, chrome raised Sequoia logo with Gloss Black base in color-keyed surround on liftgate, black painted roof rack, TRD Sport performance-tuned Bilstein front and rear shock absorbers, TRD Sport performance-tuned front and rear anti-sway bars, and seven passenger seating with second-row captain’s chairs trimmed with easy-clean fabric. The LImited trim provides different body trim surrounds, chrome auto-dimming heated power outside mirrors with power folding feature and turn signal indicators, chrome door handles, 20 inch machined-finish split-spoke with dark-silver accent alloy wheels with snow-and-mud-rated tires, power liftgate with jam protection, light-silver color embossed Sequoia logo with chrome surround on liftgate, chrome body side molding, Silver roof racks, black running boards with color-keyed surround, leather-trimmed heated front seats, 10-way power driver’s seat, eight passenger seating with leather trim, second and third row retractable window sunshades, auto-dimming interior rearview mirror with compass and HomeLink universal transceiver, chrome-trim-ring front cup holders in center console, secondary sun visors, different suspension, and Entune Premium Audio with integrated navigation and Entune App Suite. The 7-passenger seating with leather trim and second-row captain’s chairs costs $300. The $1250 Entune Premium JBL Audio and Convenience Package adds App Suite, Integrated Navigation, two-position driver’s seat and mirror memory function, and the JBL Synthesis 14-speaker Audio system. A $1,550 version installs the captain’s chairs as well. The Rear seat Blu-Ray Disc player with 9-inch display, two wireless headphones, wireless remote, and rear audio system with 120V AC power outlet and RCA jacks for $1,920. 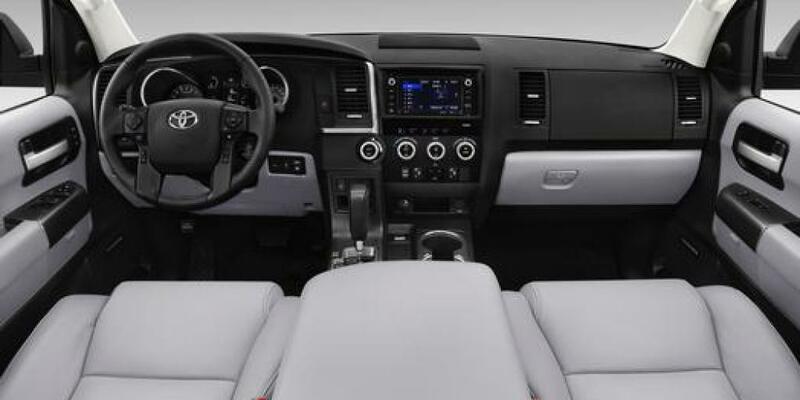 A $3,470 version supplies the JBL Synthesis Audio system, Integrated Navigation, App Suite, memory functions, and captain’s chairs in addition to the rear seat system. The Platinum trim has an MSRP of $64,010 with RWD and $67,235 for 4WD. 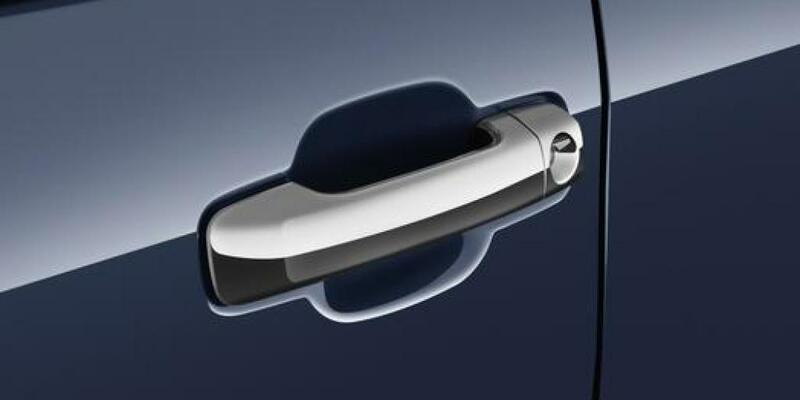 This trim supplies chrome auto-dimming heated power folding outside mirrors with memory function, puddle lights, and reverse tilt-down feature. The Platinum rides on 20-inch machined-finish split-spoke alloy wheels with silver accents and P275/55R20 tires. This trim also receives standard adaptive variable suspension damping, electronically modulated air suspension, Entune Premium JBL Synthesis audio with 14 JBL speakers and subwoofer, rear-seat Blu-Ray Disc player with 9 inch display and 2 wireless headphones, a 120V ac power outlet, perforated leather-trimmed heated and ventilated front seats, perforated leather-trimmed heated second-row captain’s chairs, perforated leather-trimmed power folding third row, and memory driver’s seat and mirror.